Explore the rich history of the St. Johns River. Our books and maps are not intended to be a complete collection of information, however, it contains a number of books that are either self-published or out of print. 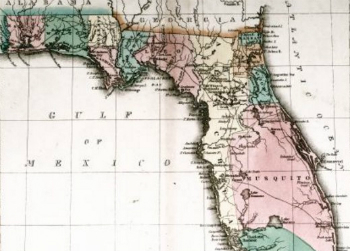 This detail is from an 1802 hand-colored map of North America showing the various explorations and discoveries of the time. The map also indicates territories claimed by France and Spain. Relief shown by hachures. 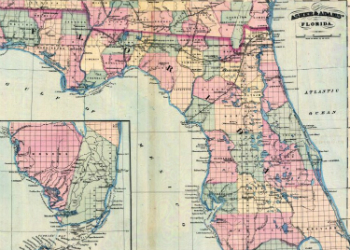 This 1871 map of Florida shows county lines and county seats current to the period, major towns and cities, and railroad routes and stations. 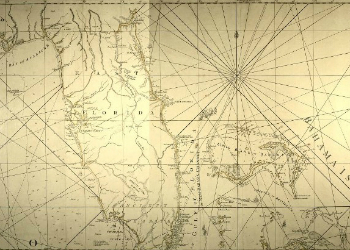 The Township and Range survey grid is shown extending from the Tallahassee Base Line and the Tallahassee Meridian (established in 1824) and the fact that much of the Everglades and the Forbes Purchase or Forbes Grant in northern Florida were not surveyed in 1871. 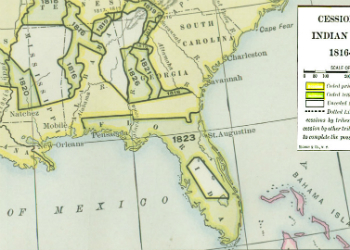 A detail from the 1917 Albert Bushnell Hart series map showing Florida and its status as having seceded from the Union before April 14, 1861. 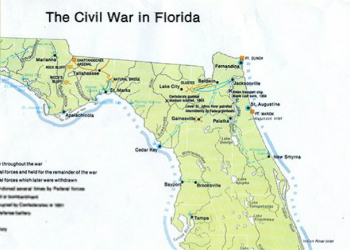 The map shows forts, naval yards, and arsenals in Florida, and whether they were Union or Confederate held facilities. 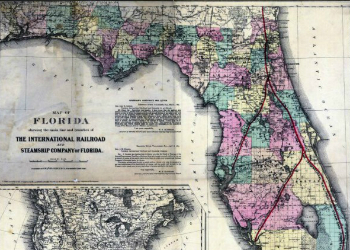 This is a map of the state of Florida showing the main line and branches of the International Railroad and Steamship Company of Florida circa 1885. It also shows counties, cities and towns, and inland waters. Section Township Range (STR) is shown. 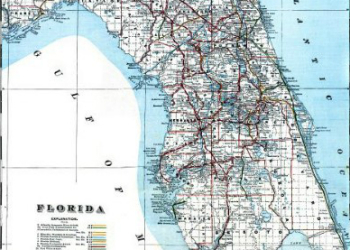 This is a detailed map of Florida showing counties, railroads, cities, inland waters, etc. This steel engraved map of Florida is a 14" x 12" inset on a lithographed sheet 22" high by 25.5" wide with detailed descriptions of Florida on both sides and bottom. It is a French copy of the Carey and Lea map. This is the current NAOH river chart for the middle section of the St. John's River. Dated: August 21st, 1990. 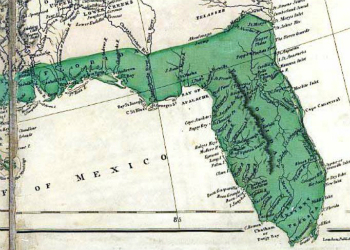 This map of Florida was originally published in William Darby's Memoir on the geography and natural and civil history of Florida. 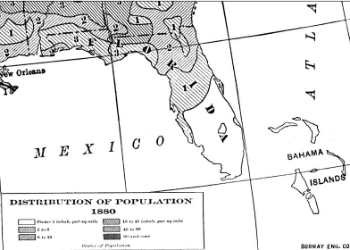 This map shows the counties circa 1834. Relief shown pictorially/ In Dutch and French. Scale measurement derived from scale bar (1 in. = 50 Milliaria Germanica communia). 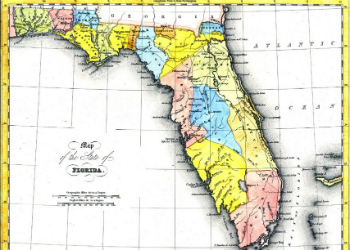 This is a detailed map of Florida with counties shown and colored. The map states, "Entered according to an act of Congress in the year 1856." 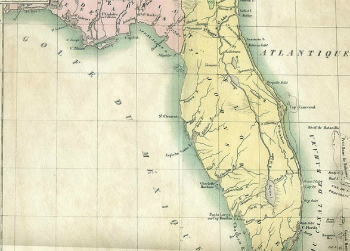 This 1827 map shows major rivers, lakes, coastal features, settlements, and roads in Florida. 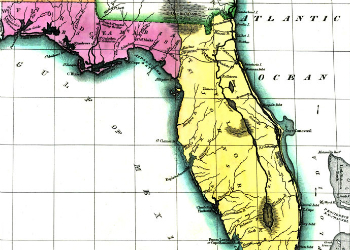 There are only twelve counties shown: Escambia, Walton, Jackson, Washington, Gadsden, Leon, Alachua, Nassau, Duval, St. Johns, Musquito, and Monroe. The Arredondo, Delespines, Mirandas, and Flemings Spanish land grants are shown. 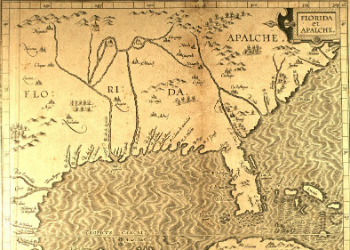 The full title of this map is "The Coast Of West Florida and Louisiana By Thos. Jefferys Geographer to His Majesty. 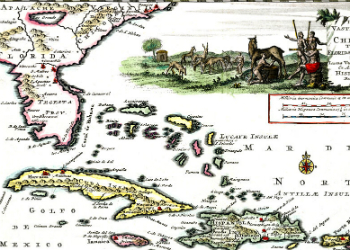 The Peninsula and Gulf of Florida or Channel of Bahama with the Bahama Islands." 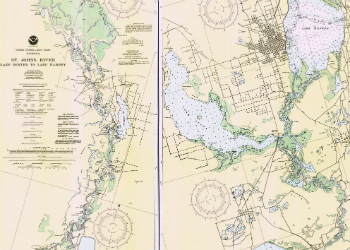 This is primarily a navigational chart with soundings and rhumblines shown in the gulf and ocean. A map of eastern North America showing the provinces claimed by various European countries. 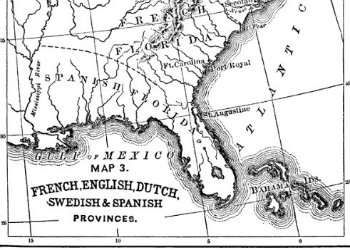 Spanish Florida is shown stretching from the mouth of the Saint Mary River westward to the Mississippi River to a point north of the Arkansas River near present day Memphis. 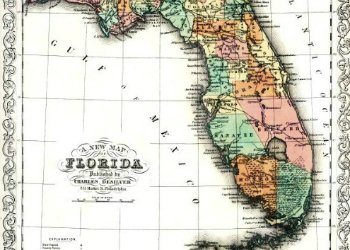 This is a map of Florida, circa 1832. It shows counties, cities and towns, inland waters and Indian paths. It shows latitude from Greenwich and Washington. 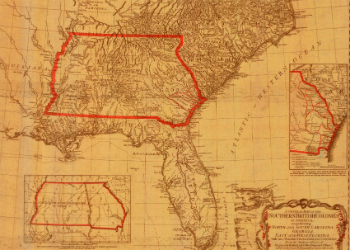 This 1776 map was created after the founding of the United States and is titled "The Southern British Colonies - North and South Carolina, Georgia, and East and West Florida." Click on this map to enlarge and reveal remarkable detail. 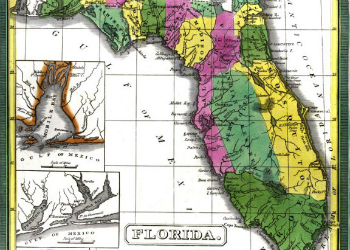 The Florida cartographer was B. Romaine. This area is dedicated to the stories and lives of the people who have lived here in Central Florida and contributed to life of the area. 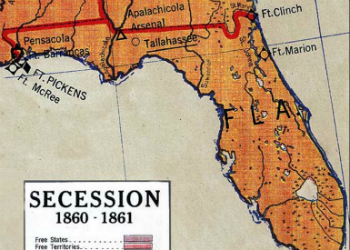 Maps that show the Florida of the past and the relevant river paths.